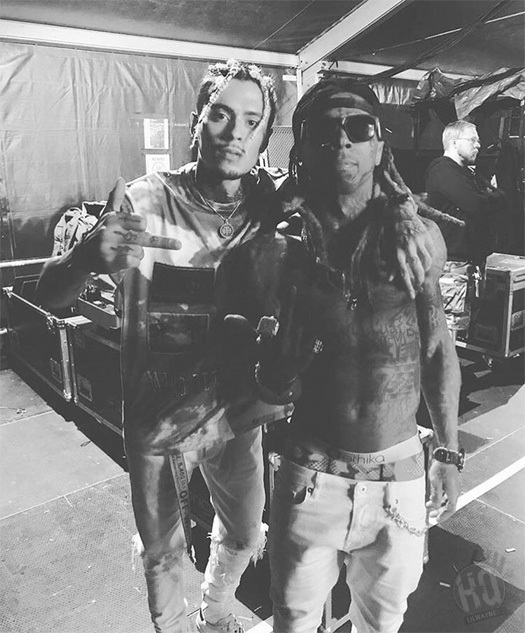 We saw some footage of the $uicideboy$ on stage with Lil Wayne at the 10th annual Blockfest music festival in Tampere, Finland 2 weeks ago, and now we can see some clips from Wayne‘s live performance. 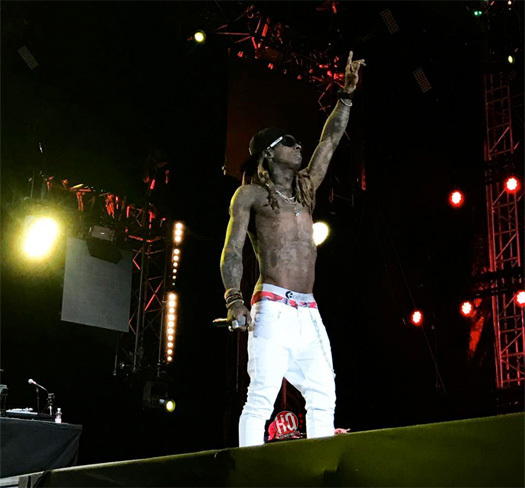 During his set at the Tampere Stadium on August 19th, Weezy performed “John“, “She Will“, “Rollin’“, and plenty more songs live for everyone in attendance. You can check out Tunechi headlining this year’s Blockfest festival after the jump below. Also, this was the final stop of Tune‘s “World Wide Weezy Tour“! 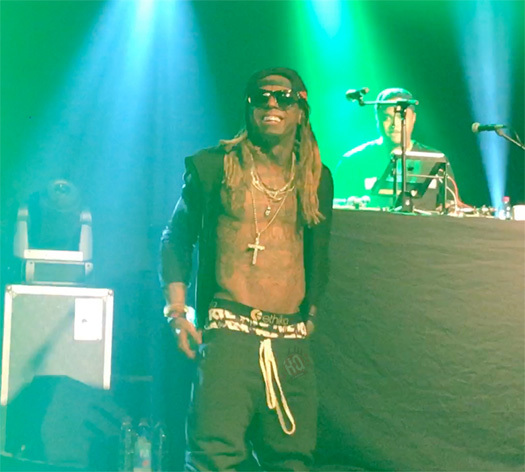 Lil Wayne put on a live show at E-Werk in Cologne, Germany on August 13th for a stop on his “World Wide Weezy Tour“. 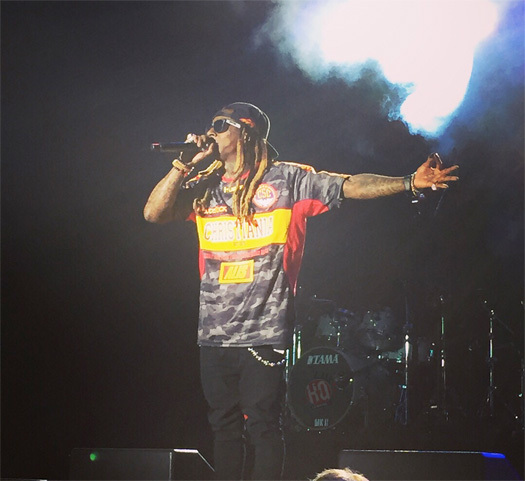 During the concert, Wayne performed “Rollin’“, “Believe Me“, “Go DJ“, “I’m The One“, “The Motto“, “I’m Me“, “A Milli“, “Loyal“, “No Worries“, and more tracks live. 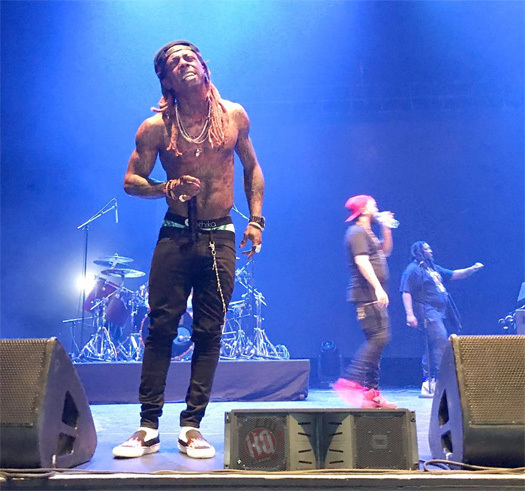 You can check out some footage from Tunechi‘s show in Cologne after the jump below, courtesy of Thomas Weib and Candan Carter! 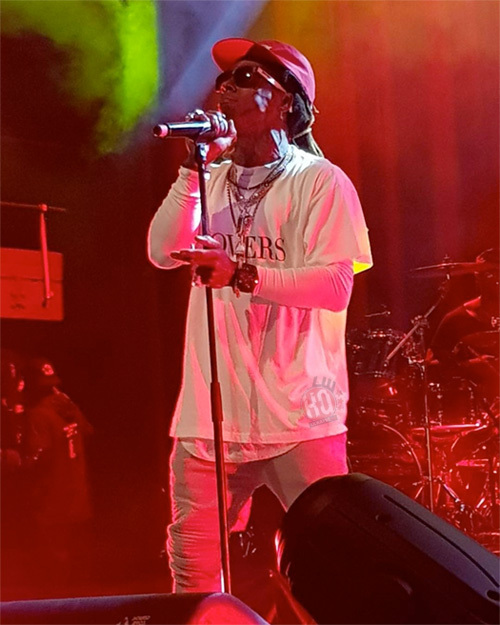 For a stop on his “World Wide Weezy Tour“, Lil Wayne performed live during Fredagsrock (Friday Rock) at Tivoli Gardens in Copenhagen, Denmark on August 11th. While on stage at the music festival’s 20th anniversary, Wayne performed “Mr. Carter“, “Lollipop“, “I’m The One“, “The Motto“, and more songs live, as well as showed off his dance moves. You can check out some footage of Tunechi performing live at Fredagsrock (Friday Rock) in Denmark after the jump below!